This tutorial is another in the series that will help you to choose a set of Spellbinders and then show you the many different ways in which you can get the most from these amazing dies. All the cards that you make will be exceptional because of the intricacy in each of the dies. 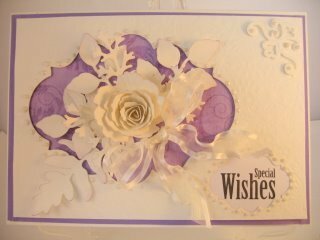 And Spellbinders make getting the result you want Easy Peasy!! With these in your repertoire you should be feeling very confident and raring to get started with your own collection and making some of these cards for your self. 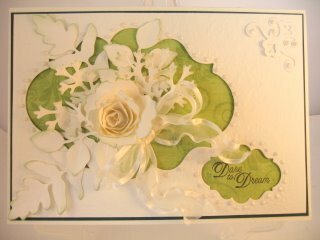 There are many many die sets from Spellbinders and as this series progresses I will introduce you to more and show you many of the spectacular results that you can get. They are not cheap to buy ... but so well worth the cost and they will last you a lifetime of crafting if you take care of them. And because of the growing popularity of Spellbinders, most branded machines will allow the use of the thinner dies in their product. It is only the largest in the sets of "Grand" dies that will need a larger machine to put them through the rest will go through any Die Cutting Machine that is on the market. Just read the manufacturers guide for the correct way to use the plates to layer up.